Casco Viejo and Gatun Locks are good opportunities to explore the local culture. Museo del Canal Interoceanico de Panama and Museo Panama Viejo will appeal to museum buffs. Spend the 26th (Fri) exploring nature at Metropolitan National Park. 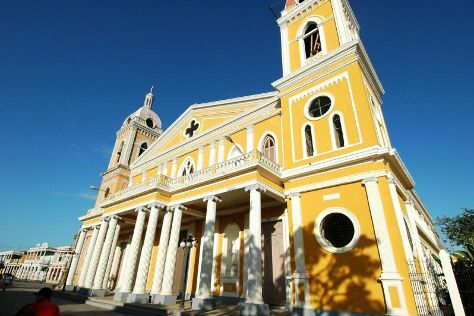 There's lots more to do: don't miss a visit to Panama Canal, hunt for treasures at Mercado de Mariscos, get to know the fascinating history of Avenida Balboa, and take in the architecture and atmosphere at Iglesia del Carmen. To find reviews, traveler tips, where to stay, and more tourist information, read Panama City trip maker website . Buenos Aires, Argentina to Panama City is an approximately 9-hour flight. The time zone changes from Argentine Time (ART) to Eastern Standard Time (EST), which is usually a -2 hour difference. When traveling from Buenos Aires in January, plan for somewhat warmer days and about the same nights in Panama City: temperatures range from 38°C by day to 26°C at night. Finish your sightseeing early on the 28th (Sun) so you can travel to San Jose. Kick off your visit on the 28th (Sun): admire the masterpieces at Precolumbian Gold Museum, then browse the exhibits of Galeria Namu, then get engrossed in the history at National Museum (Museo Nacional), and finally look for gifts at Chieton Moren. Get ready for a full day of sightseeing on the 29th (Mon): steep yourself in history at Our Lady of the Angels Basilica (Basilica de Nuestra Senora de Los Angeles) and then relax and float downstream with a rafting and tubing tour. To see photos, where to stay, ratings, and tourist information, read San Jose trip itinerary planner . You can fly from Panama City to San Jose in 2.5 hours. Other options are to drive; or do a combination of train and bus. The time zone difference when traveling from Panama City to San Jose is minus 1 hour. In January, San Jose is slightly colder than Panama City - with highs of 30°C and lows of 22°C. Finish up your sightseeing early on the 29th (Mon) so you can travel to La Fortuna de San Carlos. Get outdoors at Tabacon Hot Springs and River Rafting & Tubing. Spend the 31st (Wed) among the fascinating landscape of Arenal Volcano (Volcan Arenal). 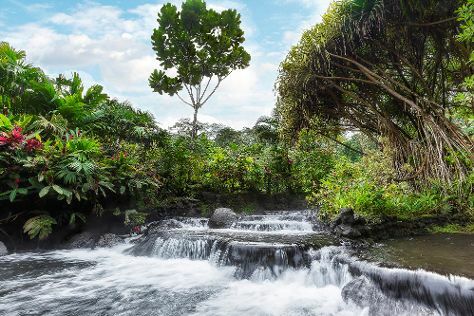 Spend the 2nd (Fri) exploring nature at Parque Nacional Volcan Arenal. There's still lots to do: explore the activities along Lake Arenal, view the masterpieces at Wood and Art Gallery, take in the dramatic scenery at La Fortuna Waterfall, and trek along Ecocentro Danaus. To see where to stay, maps, more things to do, and more tourist information, you can read our La Fortuna de San Carlos day trip planning site . You can do a combination of flight and taxi from San Jose to La Fortuna de San Carlos in 2 hours. Other options are to take a shuttle; or drive. Wrap up your sightseeing by early afternoon on the 3rd (Sat) to allow time for the car ride to San Juan del Sur. Start off your visit on the 4th (Sun): enjoy the sand and surf at San Juan del Sur Beach, kick back and relax at La Flor Beach Natural Reserve, and then make a trip to Mirador del Cristo de la Misericordia. For photos, ratings, maps, and tourist information, use the San Juan del Sur trip builder . Traveling by car from La Fortuna de San Carlos to San Juan del Sur takes 4 hours. Alternatively, you can do a combination of taxi and shuttle. 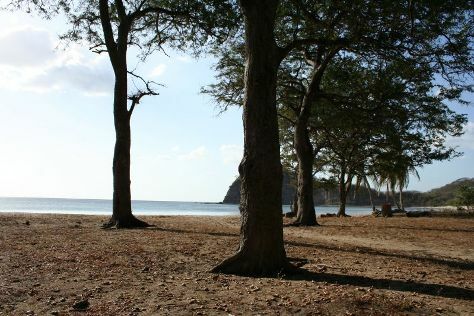 In February in San Juan del Sur, expect temperatures between 35°C during the day and 28°C at night. Cap off your sightseeing on the 5th (Mon) early enough to catch the shuttle to Granada. For other places to visit, ratings, photos, and other tourist information, refer to the Granada travel planning website . Traveling by shuttle from San Juan del Sur to Granada takes 1.5 hours. Alternatively, you can drive. Plan for slightly colder nights when traveling from San Juan del Sur in February since evenings lows in Granada dip to 25°C. Wrap up your sightseeing by early afternoon on the 5th (Mon) to allow time for travel to Antigua. Deepen your sense of the past at sights like Convento de las Capuchinas and Arco de Santa Catalina. 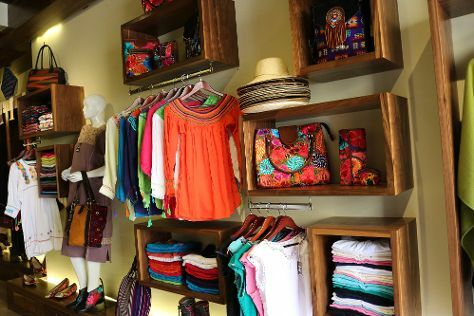 Get a sense of the local culture at Volcán Pacaya and Casa Santo Domingo Museums. The adventure continues: pause for some serene contemplation at Iglesia de la Merced, look for gifts at La Casa del Algodon, contemplate the long history of Casa Popenoe, and contemplate in the serene atmosphere at Church of San Francisco. Start your trip to Antigua by creating a personalized itinerary on Inspirock. You can do a combination of shuttle, flight, and bus from Granada to Antigua in 6.5 hours. Other options are to drive; or do a combination of shuttle and bus. Traveling from Granada in February, expect Antigua to be little chillier, temps between 28°C and 15°C. Wrap up your sightseeing on the 9th (Fri) early enough to travel to Cancun. Get in touch with nature at Playa Delfines and Swim with Dolphins. Relax by the water at Playa Norte and Playa Tortugas. Go for a jaunt from Cancun to Playa del Carmen to see Scuba & Snorkeling about 1h 40 min away. There's lots more to do: contemplate the long history of El Rey Ruins (Zona Arqueologica El Rey), stop by Plaza Las Americas, play a few rounds at Cancun Golf Club at Pok-Ta-Pok, and explore and take pictures at Plaza de Toros Cancun. To find traveler tips, other places to visit, ratings, and tourist information, you can read our Cancun tour itinerary planner . Use the Route module to find suitable travel options from Antigua to Cancun. Due to the time zone difference, you'll lose 1 hour traveling from Antigua to Cancun. Traveling from Antigua in February, expect somewhat warmer with lows of 22°C in Cancun. Finish your sightseeing early on the 15th (Thu) to allow enough time to travel to San Cristobal de las Casas. San Cristóbal de las Casas, also known by its native Tzotzil name, Jovel, is a town and municipality located in the Central Highlands region of the Mexican state of Chiapas. On the 15th (Thu), look for gifts at Flora Maria Joyas de la Tierra, then stop by Bazarte - Vistiendo Arte Con História, and then examine the collection at Museo del Ambar. To find reviews, photos, ratings, and more tourist information, go to the San Cristobal de las Casas day trip app . You can do a combination of flight and bus from Cancun to San Cristobal de las Casas in 5.5 hours. Other options are to drive; or take a bus. You'll gain 1 hour traveling from Cancun to San Cristobal de las Casas due to the time zone difference. Cap off your sightseeing on the 16th (Fri) early enough to travel to Mexico City. National Museum of Anthropology (Museo Nacional de Antropologia) and Templo Mayor Museum are good opportunities to explore the local culture. Museum-lovers will appreciate Palacio de Bellas Artes and Museo Anahuacalli. Go for a jaunt from Mexico City to San Juan Teotihuacan to see Zona Arqueologica Teotihuacan about 1h 20 min away. There's lots more to do: examine the collection at Frida Kahlo Museum, appreciate the extensive heritage of Historic Center (Centro Historico), steep yourself in history at Chapultepec Castle, and make a trip to Zocalo. To see ratings, reviews, traveler tips, and more tourist information, read our Mexico City trip builder site . Traveling by combination of bus and flight from San Cristobal de las Casas to Mexico City takes 5.5 hours. Alternatively, you can drive; or take a bus. In February in Mexico City, expect temperatures between 27°C during the day and 9°C at night. Finish your sightseeing early on the 20th (Tue) to allow enough time to travel back home.